The Flieger Verus 40 by Stowa is a stunning new interpretation of the Type A pilot’s watch pattern, proof that the application of good design can transform even the simplest format into an attractive and striking piece. How have the Stowa designers achieved this subtle transformation? By increasing the scale of the markings. They are a touch larger and so they take up more space, with the numerals moved closer to the centre of the dial. 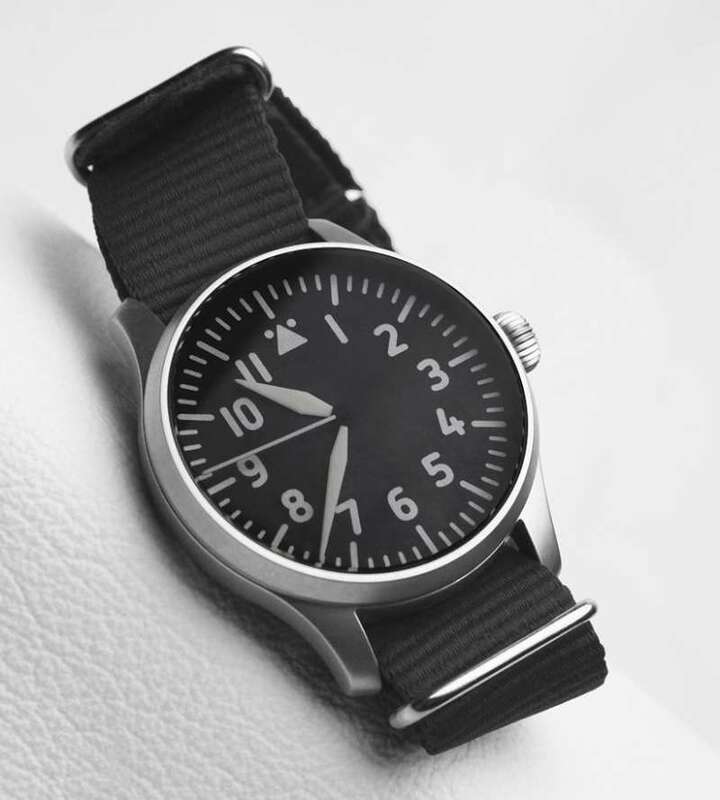 The simplicity of the layout, pure black and white, with no logo and no date, gives the Stowa Flieger Verus 40 unique personality. The case has a modern satin matt finish, achieved by bead blasting. It is 40 mm in diameter and 10.2 mm thick, so wearable on most wrists. Waterproof rating is 5 bar, 50 metres, resistant to rain and occasional splashes only. The dial is matt black, with white markings coated in SuperLuminova. Inside, the Flieger Verus 40 is powered by the ETA 2824-2 in its basic undecorated version, a self-winding movement that provides about 38 hours power reserve. The watch has a screw-in solid caseback. The strap is in black leather, but canvas straps in different colours are also available. 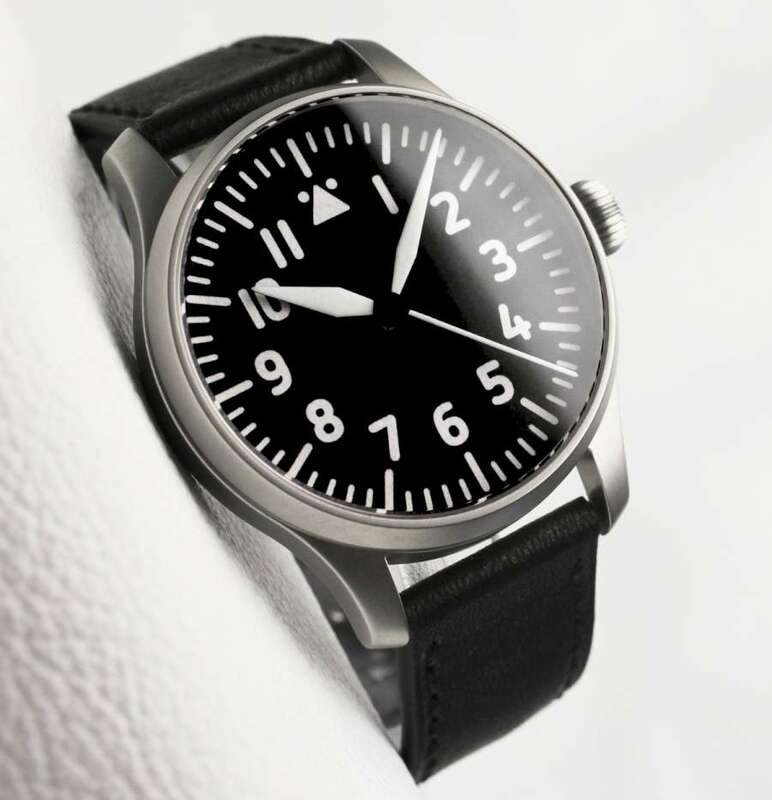 The Flieger Verus 40 by Stowa costs €660 inclusive of VAT. It is available for delivery from mid-June 2018. 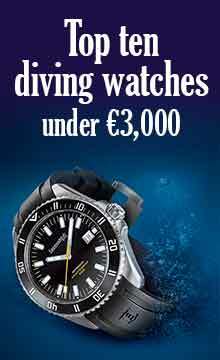 Read more on the Stowa website. 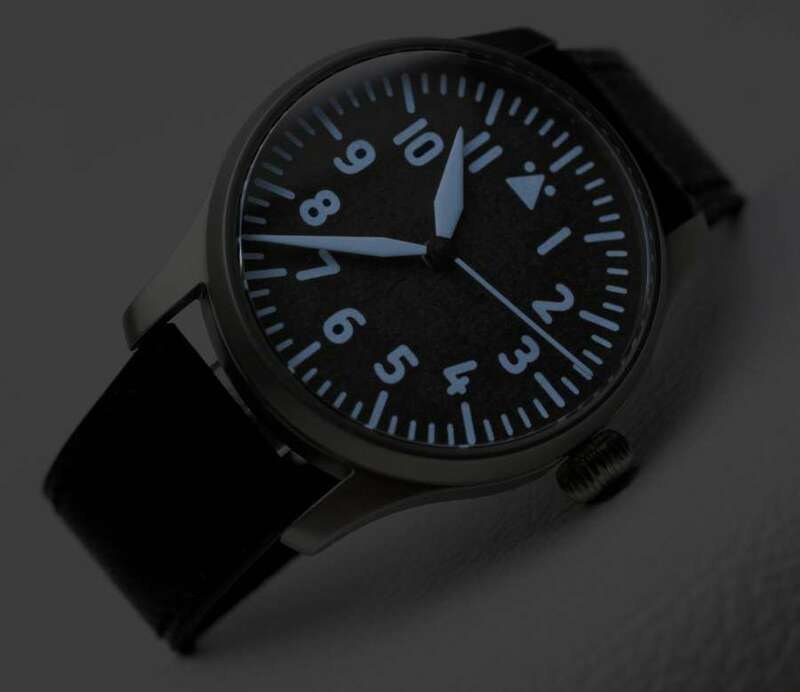 Personnellement, la STOWA Flieger 40 est mon petit graal horloger. Je cagnotte pour m’acheter la version date gravée avec bracelet en maille milanaise.